Description : Sri Siddhartha Academy of Higher Education, (declared as Deemed to be University under Section 3 of the UGC Act, 1956 ) Tumkur, was established vide MHRD GOI No. F.9-31/2006-U.3 (A) dated: 30/05/2008 of Govt. of India. 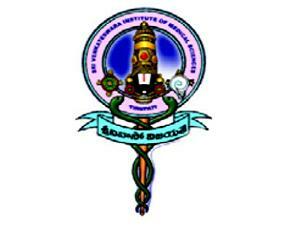 Sri Siddhartha Medical College and Sri Siddhartha Dental College have been functioning.. 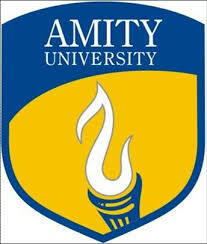 Description : The Amity University logo is represented in a shield divided into dark blue and golden yellow sections by an upward sweeping line that depicts growth and progress in life, achievable through education. While the shield shape represents the resolute shelter of truth, two contrasting yet adjacent colours.. Description : Set up by Act No. 14 of 2002 vide Extraordinary Gazette notification of Government of Himachal Pradesh dated May 23, 2002. Approved by the University Grants Commission under section 2(f) of the UGC Act, vide letter no. F.9-10/2002(CPP-I) dated 09 Dec. 2002.The University commenced academic activities.. Description : Envisioned by Sri Sri Ravi Shankar ji, the Sri Sri University was established as a centre for world-class education so Indian students do not have to leave the country in search of what they perceive to be better opportunities.The Sri Sri University takes pride in offering a curriculum that enriches.. Description : Amity University, Rajasthan (AUR) has been established by the Amity University Rajasthan, Jaipur Act, 2008.AUR is a private university established by the Ritnand Balved Education Foundation (RBEF), New Delhi which is a society registered under the Societies Registration Act, 1860 and was established.. Description : Jharkhand Rai University has been established under “Jharkhand Rai Univeristy Act, 2011? by Jharkhand State Legislature. 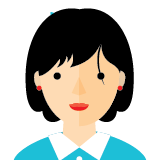 JRU a globally-oriented university, has distinctive expertise and insights. JRU aspires to be a bold and dynamic community, with a “no walls” culture and a spirit of enterprise.. Description : Amity University Mumbai (Panvel ) is a part of 20-year old, leading education group of India, set up with a vision to contribute to nation-building through education, where currently 100,000+ students are pursuing 250 programmes across campuses in India and abroad.Amity University Mumbai (Panvel) is.. 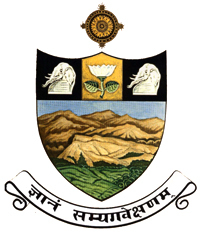 Description : Jiwaji University Gwalior came into existence on May 23, 1964, through M.P. Govt. Ordinance no. 15 of 1963. Late Dr. Sarvapalli Radhakrishnan, the then President of India, laid the foundation stone on 11th December 1964 at a sprawling campus of over 225 acres of land at Naulakha Parade ground. This was.. Description : Sri Venkateswara University, Tirupati , is established in 1954 in the world famous holy temple town of Tirupati on the sprawling campus of 1000 acres with a panoramic and pleasant hill view. The University stands as a testimony to the wisdom and foresight of great visionaries Late Sri Tanguturi Prakasam..